The Table is a blog by Ashland Theological Seminary. This online resource is a platform where people, clergy and laity, can “come to the table” to exchange ideas and experiences about life and ministry. If you would like to submit a blog entry for consideration, please contact Jonathan Cole at jcole9@ashland.edu. Should Christians Read the Apocrypha? Confronting the Energizer Bunny Syndrome. It seems that each year as the advent season approaches my memories immediately take me to December 1986 when I had the pleasure of singing Bach’s Magnificat Fugue with the Ashland University Choir. The music is as joyful, anxious, and reflective as the lyric itself. You can see and listen to the beauty of this piece of art by clicking here. As most of the readers are aware, the Magnificat is Mary’s prayerful response to the new of the angel Gabriel: she was to give birth to a son, the Son, the promised Messiah. The prayer as recorded in Luke 1.46-55 begins with the words “My soul magnifies the Lord and my spirit rejoices in God my Savior.” This text is often seen reflected in the meek and humble “Mary” that we see in Christmas pageants and nativity scenes. In Advent 2014 my heart is less warmed by this Mary and more burdened by the words she spoke in verses 51-53. He has scattered the proud. He has put down the mighty. He has exalted the lowly. He has filled the hungry. The young, soon to be, mother of Jesus surely is praying from her own experiences as one marginalized for her gender, race, lack of education, and economic status. Mary was experiencing the incarnation in her own womb of the arrival of the mercy and justice of God in a way only prophesied and dreamt of by her ancestors for generations before her. Yet her words also ring as prophetic in the burden of injustice faced by so many in our own time and violently exposed in these past months. There are men and women today yearning to experience the scattering of the proud, the brining low the mighty, the exalting of the low, and the filling of the hungry. May we all pray the words of Mary for our own time, our own nation, and our own world. May our God, incarnate in Jesus and in us through his Church, bring about a greater fulfillment of the prayer of Mary today. 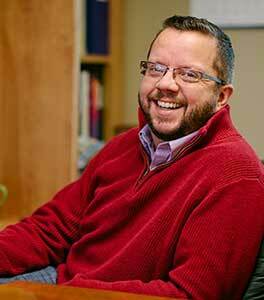 Mr. Glenn Black is Associate Vice President for Enrollment & Student Services at Ashland Theological Seminary.